I’ve written about some luxury haircare products recently, and while I still absolutely love to use them every now and then, my budget means I simply can’t afford ‘luxury’ haircare for everyday use. 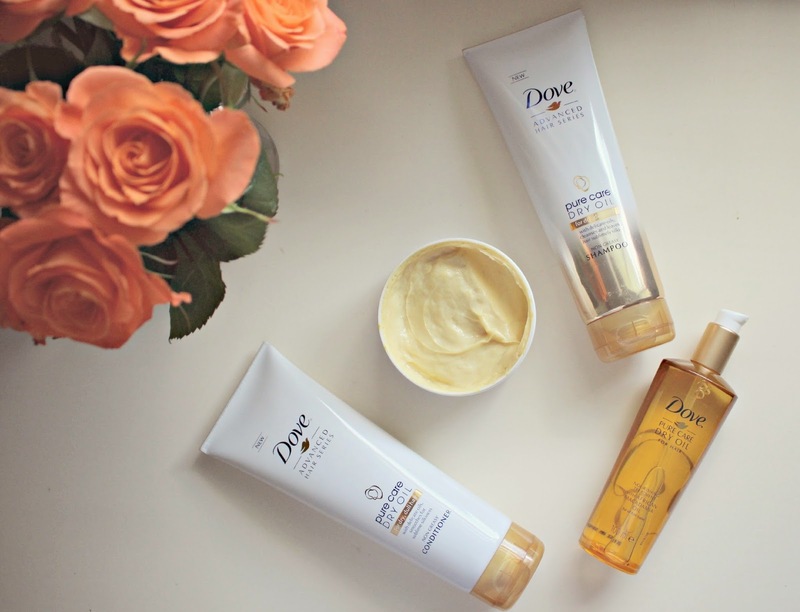 On the hunt for a ‘budget’ haircare regime, I discovered the Dove Advanced Hair Series – a range with a budget price tag, but all the ingredients and results of a set three times its price. There are 3 options in the range so you can choose according to your hair type. There’s Oxygen Moisture, Youthful Vitality and Pure Care Dry Oil, which is the one I chose. If you have fine, flat hair, the Oxygen range will condition and give up to 95% more body say the team at Dove, while Youthful Vitality provides ageing hair with nourishment and replenishment for fuller, more youthful looking locks. The Pure Care Dry Oil range is said to be ideal for dull dry hair, the luxurious oils leave hair nourished and silkier with added shine – something my hair is definitely in need of! Each of the ranges contains a shampoo, conditioner, and additional styling products which you can choose from depending on which area you want to focus on. My hair always cries out for deep conditioning, so I got the Deep Conditioning Nourishing Balm and the Nourishing Treatment Oil to apply to damp hair to help with combing before I blow dry. The shampoo and conditioner are gentle enough for every day use – they deep cleanse and also work to nourish and add shine. Just like some of the more expensive sets that I’ve used, you can feel the difference straight away, my hair feels silkier when I’m in the shower, and the results are even more noticeable when it’s dry. Every few days I use the Nourishing Balm on the mid to end lengths of my hair, leaving it on for five minutes to leave my hair feeling smooth and silky. I finish off with the Dry Oil – I pump a couple of drops into my hand and smooth through my wet hair to control frizz and add silkiness – they also make combing through my wet locks a lot easier. For me overall, the range combats my key concerns of dull and dry hair, and I’m so pleased that I can afford to use them as an everyday set. 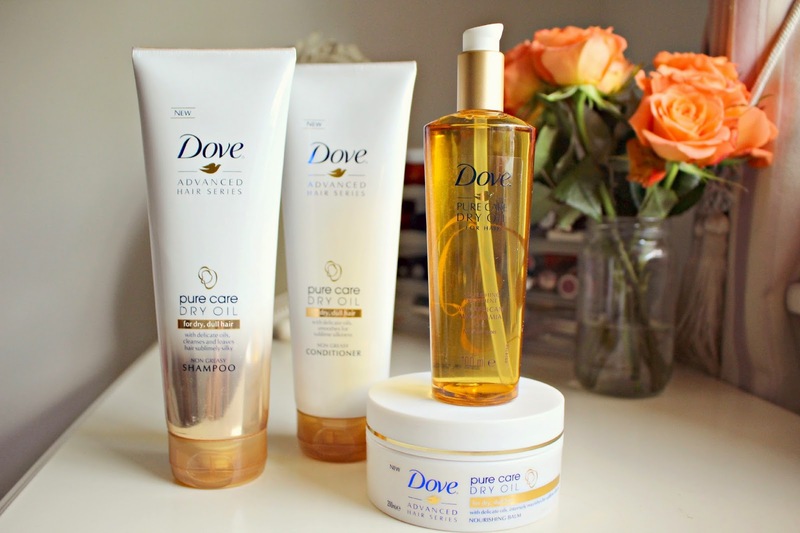 Dove have a range for the most common haircare concerns, so I’d definitely recommend picking up a couple of the products next time you need to stock up on haircare! The range is currently reduced on Boots.com – £2.99 instead of £5.99, so it’s a perfect time to stock up!